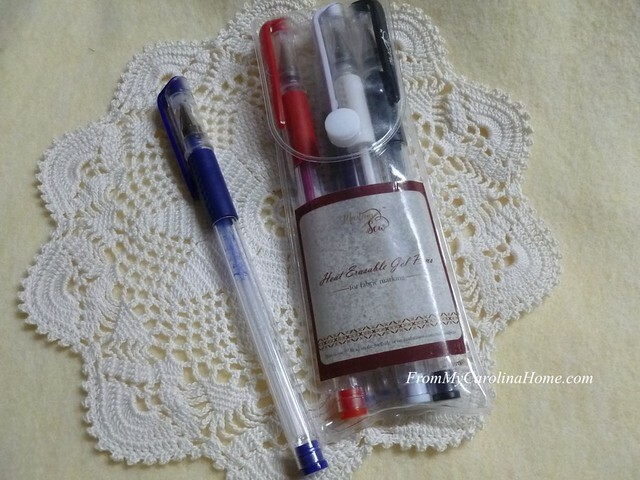 When I posted on Sunday about marking the Orizuru quilt with gel pens, there were several comments related to their use. I didn’t go into detail on the pens at the time, and I should have. 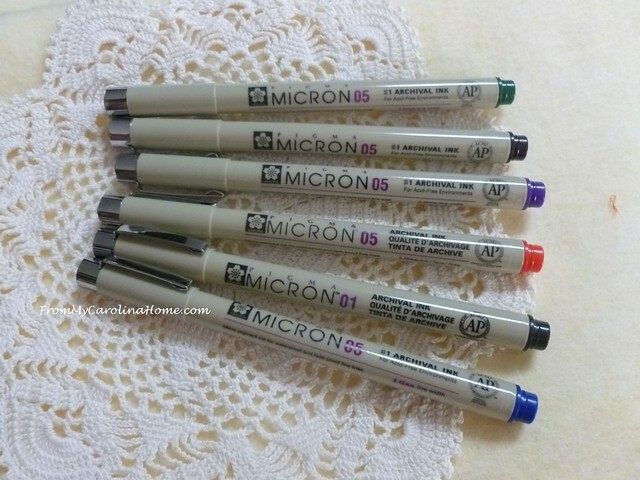 I was going to just talk about the gel pen on the next Orizuru post, but instead, let’s talk about all kinds of markers today. In choosing a marking method, the quilter has to consider both the marking medium and how the medium will be removed. For mediums that require washing out, how will this affect the quilt as a whole? Did you prewash your fabrics? Will washing or wetting create shrinkage or bleeding? Lots to consider! Some affiliate links are provided for your convenience in this post. Here’s what you need to know for the heat erasable gel pens. The ink from those pens doesn’t go away, it is simply rendered clear by heat. If the quilt gets cold (really cold like below 32º F, 0ºC) the marks will reappear. It may require re-ironing to make them disappear again. As reader Sandy noted, you can also use a hair dryer. Frixon says you can rub out the mark, but be aware that the way this works is by heat from the friction of the eraser on the fabric, and does not remove the ink. 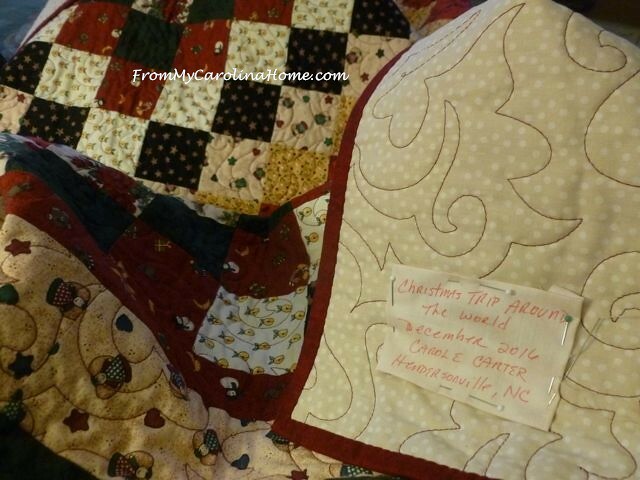 Research by other bloggers show that washing the quilt will remove most of the ink, but is not foolproof and may leave some traces that will show if it gets cold. To see if it works for you, wash your quilt, then put it in the freezer to see if the marks return. You can simply repress any marks that return, or rewash the quilt and try again. To remove the ink permanently, you’ll need to use an ink remover product, Amodex Ink Remover is recommended by Frixon. For now, the Orizuru quilt won’t be in a cold situation, so I’m OK with using them for my little wall hanging. I wouldn’t use them for a national competition quilt. Although it may be warm where you are and where the quilt will be shown, it is very cold in the cargo hold of an airplane and that may be enough to bring the marks back. The ones I use are from Madam Sew, Heat Erasable Gel Pens. 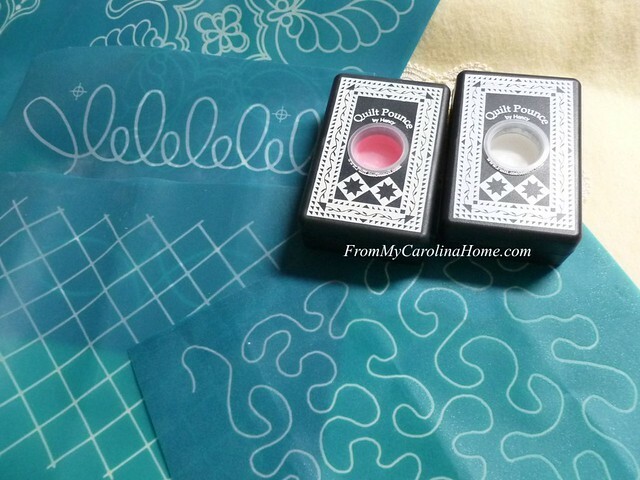 The better choice for quilts that are exposed to cold or shipping would be the Water Erasable pen removing the markings with Sew Clean as recommended by Jamie Wallen. I got this recommendation from Jamie’s own lips at a national quilt show. It is what he does with his own competition quilts, and has never had a mark return using this method. 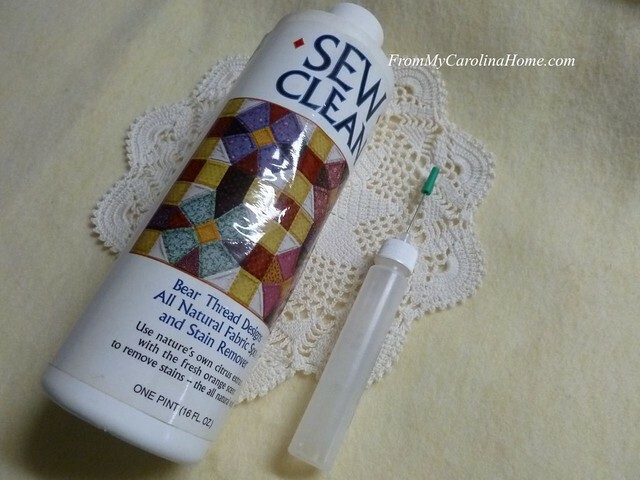 Use a fine tipped reservoir for a solution of Sew Clean to trace over the marks. I got mine from Jamie at a show, but these Refillable Water Pens would work just as well. There are also air erasable pens, but I have never had good luck with these. They tend to be gone before I am ready to quilt, or while I am quilting. Sometimes, the better answer is chalk. 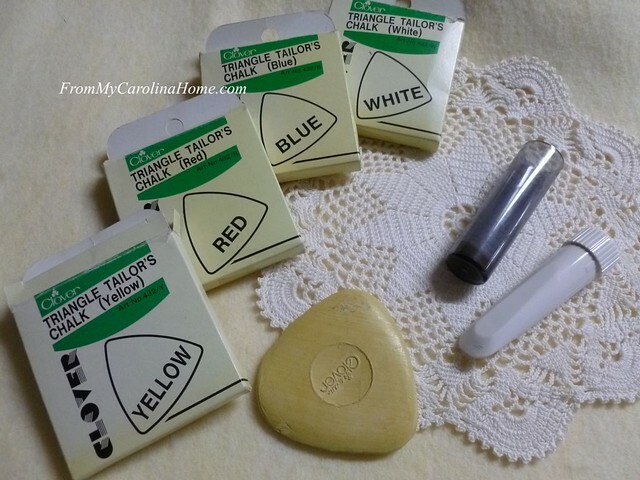 I have chalk in three forms – Triangle Tailor’s Chalk in four colors, a powder mechanical Chaco liner and a powder pouncer. The bar chalk and powder liner remove with rubbing, brushing or vacuuming. Sometimes a damp cloth is needed to get out stubborn marks, but more often I find the chalk has disappeared into dust before I have fully quilted the marked area. 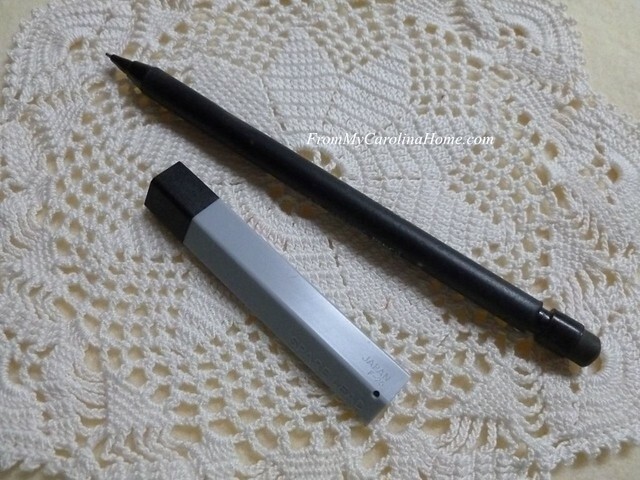 The liner does a nice job, and removes easily with brushing. The white Chalk Pounce Pad chalk will erase with heat, and I cannot find any reference that the marks come back. But it stands to reason that the heat erase marks may reappear if the project gets cold enough. However, since the chalk doesn’t soak into the fabric like a gel does, this may not be an issue. A toothbrush works well, then I go over the area with a soft clean paintbrush to get the last of the dust. Vacuuming may be a good choice here as well. Be aware that the pink powder does not go away with ironing, and that will actually set the color so it is next to impossible to get out. Use the pink only if you can wash the quilt (in cold water) as that is the only way it all comes out. 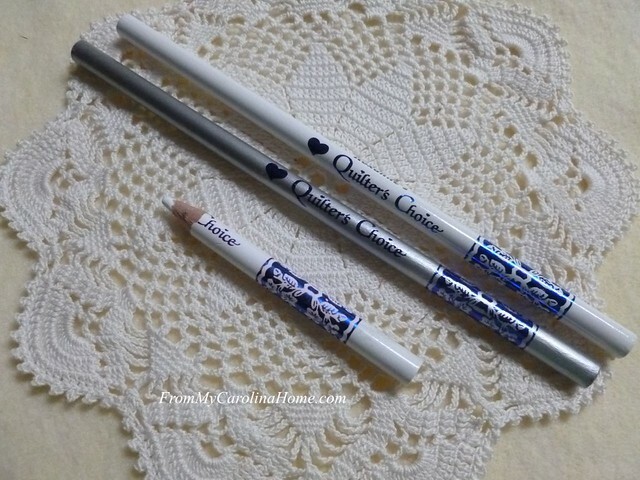 Quilter’s Choice pencils come in white and silver. The marks are supposed to come out with water, but I haven’t actually tried that. I only use these to mark cutting lines, or sewing lines on the wrong sides of fabrics. Be aware that the marking part of the pencil is very soft, and will easily break. Don’t try to sharpen them to a fine point, you’ll end up wasting a lot of it. Use only an old style small sharpener, the electric ones will eat up this pencil in a hurry. Graphite pencils are much like mechanical pencils. It does come out with the eraser, but I find this distorts the fabric too much when rubbing it. So, I only use this for marking fine lines for sewing or cutting on the wrong side of fabric. I use it a lot making half square triangles. My pencil isn’t available anymore, but this one is. Sew Line Graphite pencil and refills. Lastly, sometimes you do want the marks to be permanent. In that case, for labels and identifying marks, I use pigma pens. I have multiple colors so I can choose one to complement the label and the quilt. These have a fine line, perfect for lettering labels, or writing on the backside of a quilt in lieu of an attached label. So, those are the tools I use. What do you like to use to mark fabric? See all my patterns on my Pattern Page. Thank you for using my affiliate links when you can. It helps me pay the costs of my blog so I can bring you free patterns and ideas, great prizes and fun events. Thanks for all of the tips. As I was reading, it made me think of the Crayola brand washable markers. I have never tested them so I don’t know if they really do wash out or not. Just wondering. Thanks for this informative post, Carole. I’ll have to let you know if the markings from the chalk pencil by Hancy come back after I’ve ironed them away. They haven’t so far, but I haven’t washed the quilt yet either, so I’m curious. One interesting thing the Hancy demonstrator showed us at the quilt show for working with a large quilt that has been marked with their chalk was to mist over the quilt with Best Press. Not directly on the quilt but over the markings so the spray lightly settles on the chalk. It apparently is supposed to “set” the chalk so it won’t rub off as you move the quilt. It still disappears when you iron it. I haven’t tried it, but watched him do it. Thank you for the information. I have used the Frixon pens but will start thinking twice about it as I live in the Midwest. I have been using a hera marker. The mark is very fine and just goes away. I only quilt small quilts on my domestic machine. I send the large ones to a long armer. Thanks for the info! That’s interesting about the heat erase pens. I haven’t used any except on cut lines. I like the water soluble pens though it took me years to be brave enough to try them. i have taken to using the fine water eraser pen to remove the ink as I have had fabric bleeding and that seems to avoid it. I have used the Quilter’s Choice chalk pencils for my last two projects and there is no residue left after washing. Prior to that, I used a pencil from sold at Wally World (big box retailer starts with a W) and it was tough to get the lines to show, must have been a harder form of graphite. As an aside, I also prewash all of my fabrics, since most of them come to me secondhand. I have also started marking quilting lines after I have pin basted the sandwich together. Previously, I marked all of my quilting lines on the flimsy. It seems to work both ways for me. Great article! Glad to hear about some others having difficulty with Frixon pens. 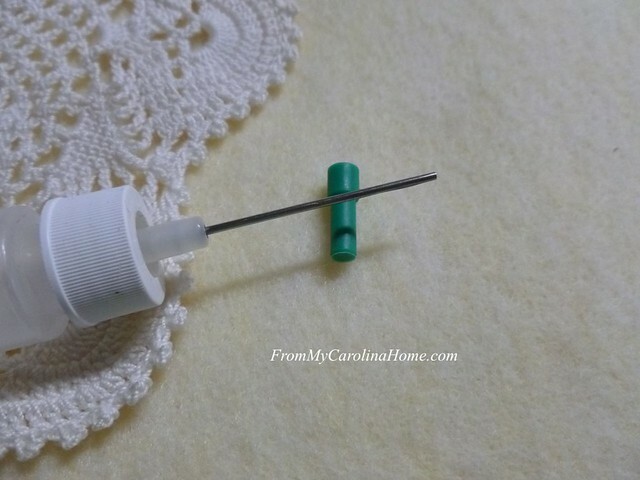 I recently used one for marking my quilt. I ironed most of the lines off then washed my quilt. I was disappointed to see that some marks returned. I used the iron again on them. I really thought that between ironing & washing that the ink would be gone. Thanks for the tip on using Amodex Ink Remover. I’ll be on the lookout for some. Thank you for all the great tips! This is definitely “a keeper” and I hope you don’t mind if I share it on my “Quilting Tips” board on Pinterest. Great tips and info Carole! I use a regular no. 2 pencil for my appliqué tracing and the water soluble blue pens Mark B Gone that require water for removal. I’ve used those on sewing projects for years and never seen the marks return. My newest white pencil is a SewLine fabric pencil that is heavenly on dark fabrics, and I’ve not had issues with the garments I’ve used it on. Hello Carole; Your post is filled with information that I had no clue about. I appreciated every item you discussed about the pros and cons and also giving details about some solutions you knew about. 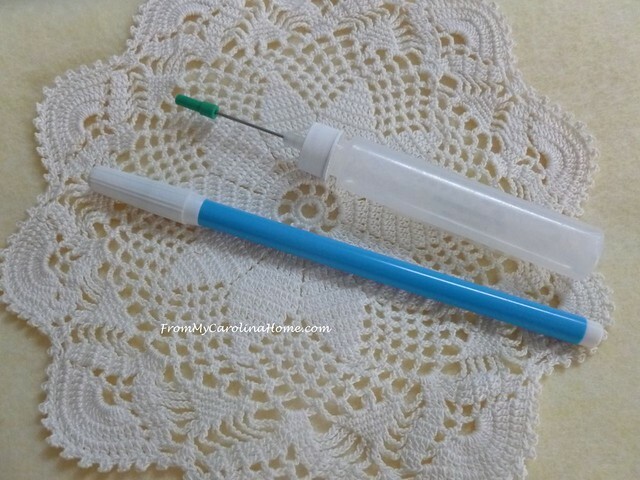 I know that I would like to try the Amodex Ink Remover and also the Sew Clean. Both of these products are new to me and sound like winners. My main marking tool is the Mechanical Pencil. I very seldom do any fancy quilting stitches just a lot of straight line walking foot quilting. I mark my HST to make and also any of my applique or hand embroidery patterns. I just try to trace as lightly as I can and still see. 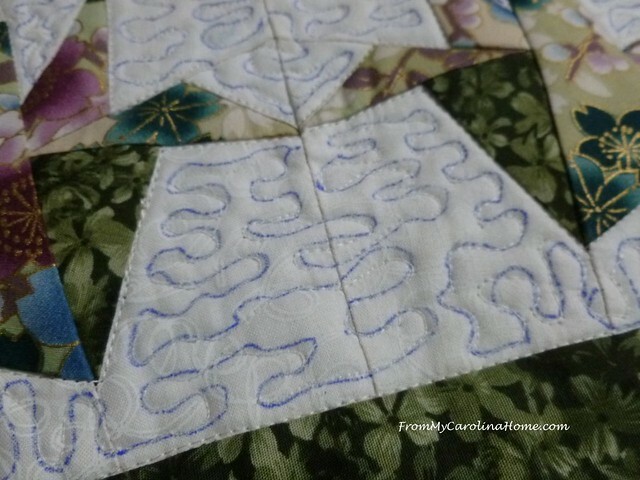 If the products work above, I would be willing to try other methods and might try marking quilting patterns. Thank you so much for sharing this great post! Is there a secret to Madam Sew’s pens. I bought a bunch of the white ones and it seems I only get maybe a dozen or so of marks before they stop working. There is still a ton of ink in them though. Hey Carole! Bohin makes a chalk holding “pen” that takes slim sticks of chalk for marking. I use this pen for almost all my marking. It comes off easily with a light rubbing with a tee shirt scrap. As a long-armer, I mark on the fly, so it works well. I also use the white pounce powder with stencils. I found out the hard way that the blue pounce doesn’t come off entirely. I have used Frixion pens for light colored areas, but it always makes me nervous! Blue water soluble pens are great for marking light fabrics, too, and I remove the line with an Aqua Doodle refillable water pen. Cheap, and found in the toy department of your local Walmart! I have used water soluable markers, chalk in the tube for a fine line and a hard pencil to mark for quilting. Like Brenda, I try to use a light hand with any method to ease removal. My methods depend on dark/light color and whether I am using mymachine or by hand. Have to mark chalk as I go if hand quilting, due to rub off. I always wash when quilt is done,but I don’t compete. Thanks for the tips. Lots to think about. I sometimes forget how many products are on the market. Thanks for all the information. Thank you for this helpful overview. I have had the same issues as you with air erasable products. The marks are gone before I am done needing them! I have a Sew Line mechanical pencil with a “lead” that can be removed with water. I’ve had good luck with it so far.